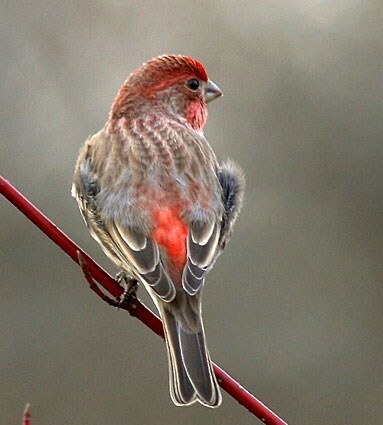 House Finches have blurry grayish streaking on the belly and flanks, unlike either Cassin's Finch or Purple Finches. 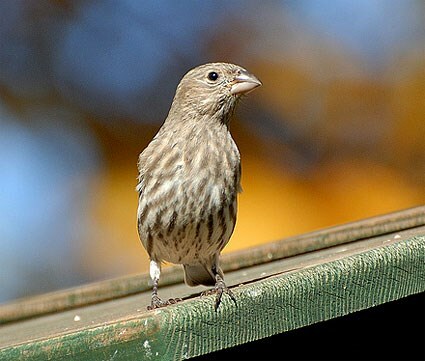 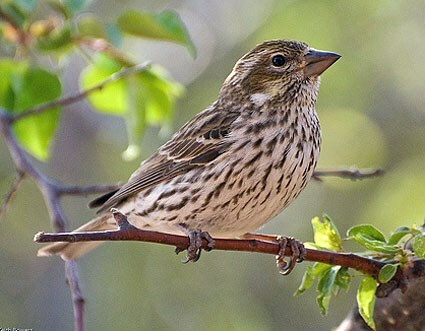 Female House Finches have a plainer brown head, where female Purple Finches are more strikingly brown and white. 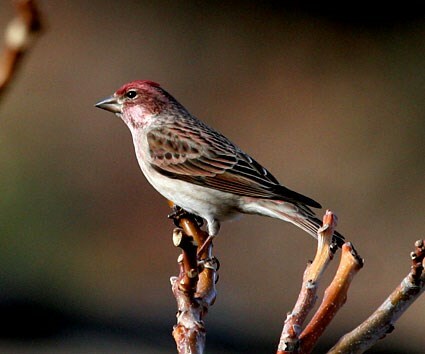 Female House Sparrows have light-brown stripes on the back and are unstreaked on the chest and belly. 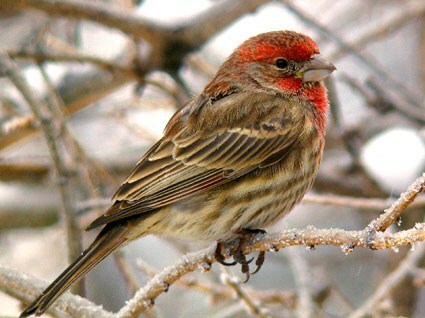 Bill shape is distinctive for House Finches: it's fairly blunt, and rounded, without a sharp tip. 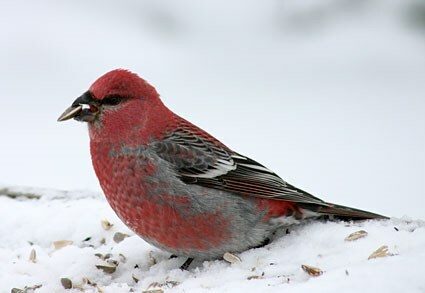 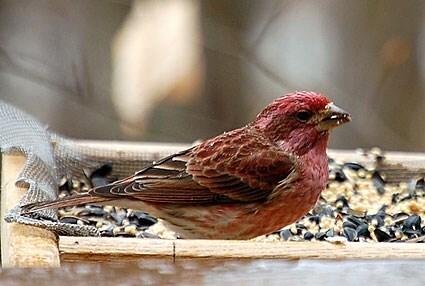 Purple and Cassin's finches both have longer, less rounded bills. 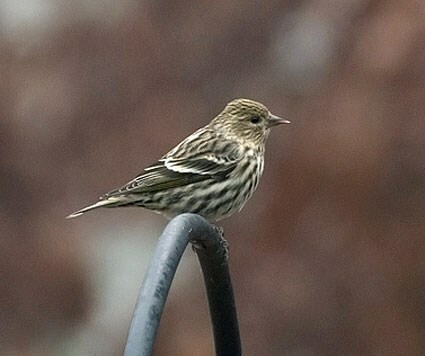 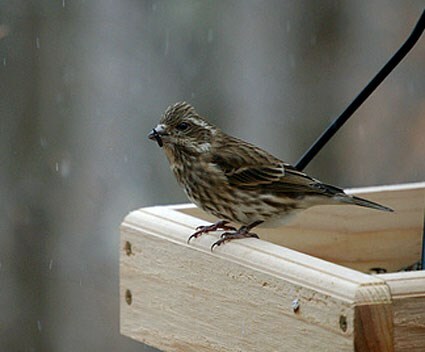 Pine Siskins are even more streaky than female House Finches, with yellow patches in the wings and a thinner, more pointed bill. 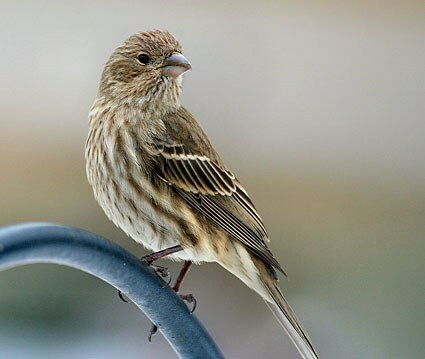 Female House Sparrows are warmer brown above and don't have streaked underparts. 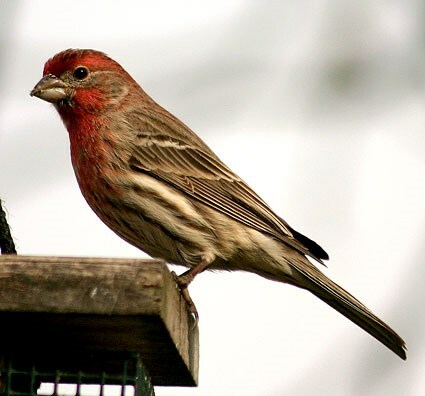 House Finches, particularly males, can look very different from one to another. 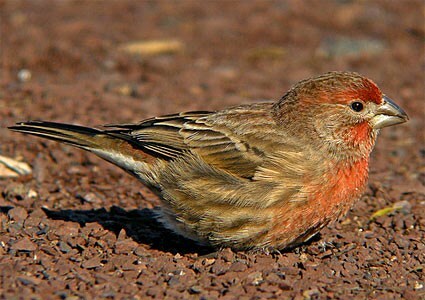 This is largely due to differences in their diet rather than regional differences. 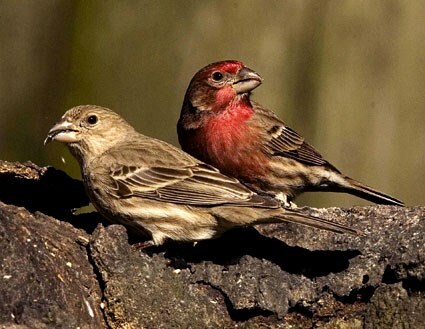 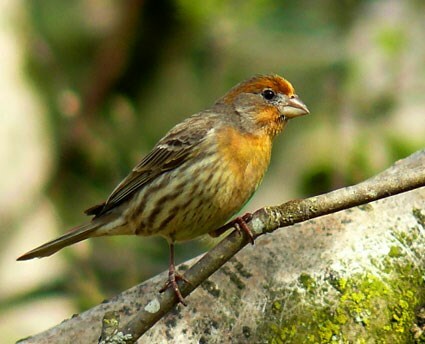 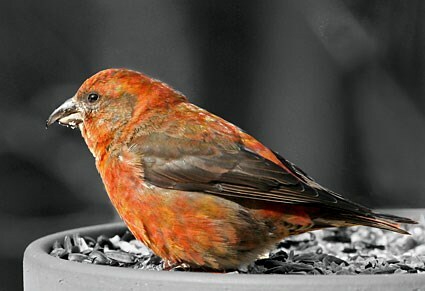 Even though all of eastern North America’s House Finches are descended from the same few birds released on Long Island (meaning they’re much more closely related to each other than they are to birds across the West), there aren’t any strong differences in size, shape, or color between the two regions.